Motorsport is one of the most effective ways to make commercial brand recognized among the huge audience. Millions of fans watching the World Rally Championship stages on TV, while thousands visit them personally as well. 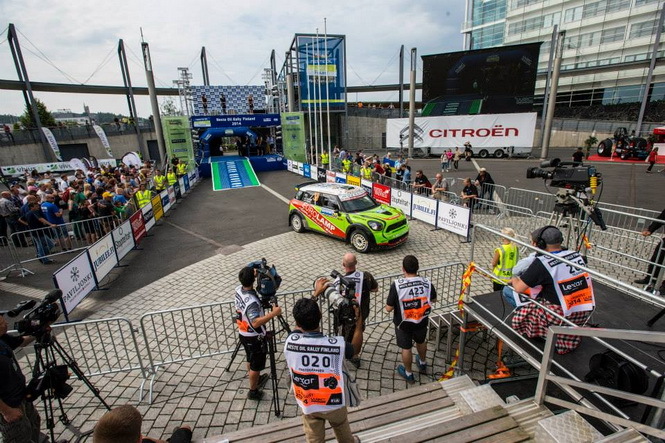 Direct contact with the audience during the competition allows to enhance the positive image of the brand, which logo is placed on a rally car. Having a long term cooperation with some web and print media, TV-programs and channels, we can provide media support to any crew that sets the serious goals. Professional photography, video, TV-coverage, making and distribution of press releases – this is a small part of media service used by our team. We know how to let the fans all over the world know about you and your successful starts. Use of site materials is possible only with the written consent of the owner.